Given the nice specs and affordable price of the recently launched Rockchip RK3066 All-in-One chip, it is reasonable to assume that a plethora of RK3066 based Android Mini PC will emerge on the following weeks and months. Thankfully enough, the following procedure to root an RK3066 based Android Mini PC might prove to be streamlined, according to different specialized sources. The following instructions have been tested on the UG802 Android Mini PC, but they are generic enough to be applied into other RK3066 based Android devices. As usual with any technical tutorial, you are responsible for applying it into your Android device. We need to download and install Moborobo, which is a free Android Management tool. It will act as a data bridge between our PC and the RK3066 based Android device. We need to download a modified version of a well-known rooting tool called Superoneclick, but tailored for rooting RK3066 devices, which can be found in here. Check inside Settings -> Developer options from your RK3066 Android OS that the USB Debug Mode is turned on. Start the Moborobo porogram, connect your RK3066 based Mini Android PC into your PC and wait for some seconds while MoboRobo finds it. Extract and run the SuperOneClick program. Click on “ROOT”. It will probably tell you that your Android Device is already rooted, but anyway continue with the procedure. Note: all download links provided where working at the time of writing this article, but you may have found this tutorial at a later date and links may not be functional anymore. In such case, we suggest to google for any missing file. 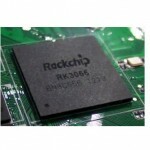 If everything went OK, by now you got your Rockchip RK3066 based Android Mini PC rooted! Moborobo has some kind of malware. When I search google all the results get redirected. I’ve never had anything happen like this and it happened right after I installed Moborobo. Finally, rooting worked on the Hyundai Rock X! Thank you very, very much for these directions and links!